YESTERDAY the Speaker of the House of Commons, John Bercow, selected just four of the eight ‘Brexit’ alternatives that had been considered last Wednesday, including last week’s fifth rank (revoke Article 50), but not the third rank (Labour Party’s plan), because Labour had swung behind Wednesday’s fourth rank (Common Market 2.0). Politicians and journalists call these alternatives ‘soft Brexits’, but all are closer to Remain than Brexit. They should be termed ‘soft Remains’ or ‘mostly Remains’. In practice, all would end in Remain, because the options entail each other, so the most accurate term would be ‘slippery slopes back to full Remain’. Bercow chose to ignore the only true Brexit option (leave on 12 April under WTO rules and rolled-over UK-EU arrangements) – the mistermed ‘no deal’. This ranked sixth last Wednesday, and was rejected by Parliament in two prior motions (29 January and 13 March). Parliament pretends it’s not an option, although Brexiteers such as Mark Francois continue to point out that Britain will leave on 12 April as the law stands. Let’s look yesterday’s four alternatives. Two are outright attempts to Remain, two are slippery slopes back to Remain. One motion is to revoke Article 50 (cancel the petition to leave) unless the EU grants a second extension of membership (beyond 12 April). Naturally, the EU would be incentivised to refuse to grant an extension, triggering Parliament to legislate to Remain. Last Wednesday, this option earned 109 ayes. Yesterday it earned 191, but the losing margin barely declined (from 109 to 101) and it came last. A sensible Parliament would declare this option dead, but Remainers came out of the House to scream defiance. Another motion is for a referendum to confirm whatever Parliament chooses. This is supposedly the official position of the Liberal Democrats, but who can rely on the Lib Dems? The Labour Party used to rule it out, but Jeremy Corbyn has recently refused to commit either way, and Labour’s deputy Tom Watson said on Sunday that it’s ‘the only way we can bring the country back together’. The latest advocates spin a second referendum as ‘confirmatory’, but the argument is self-defeating: if a first referendum doesn’t count, nor does a second. Parliament has refused to implement the first, despite promising in 2016 and legislating in 2018 to implement it. Last Wednesday, this option topped the preferences, with 268 ayes. Yesterday it topped the preferences again: the ayes grew to 280, and the losing margin shrank from 27 to 12. 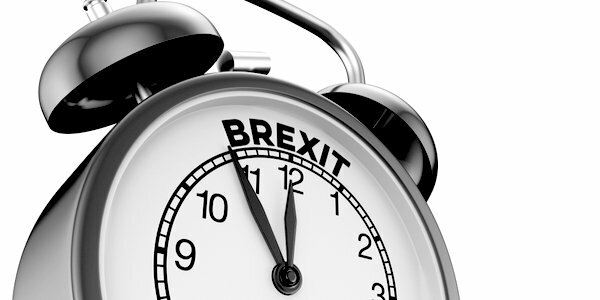 This is not actually an alternative to Brexit, so Parliament should declare it dead, but advocates of Revoke-Article-50 could use a second referendum to get revocation back on the ballot. Theresa May has always played a two-faced game on Customs Union; she proposed at Chequers in June 2018 to stay in the customs union, but to pretend to be out by collecting the EU’s tariffs; her proposed Withdrawal Agreement of November 2018 would entail customs union indefinitely, given the veto it would grant to the EU. The Labour Party has always proposed customs union, although it pretends that May’s proposal is worse for reasons the Labour Party can never clarify: Keir Starmer (shadow Brexit Secretary) has always supported it, but his leader has whipped against it, until yesterday; Hilary Benn supports it from outside the shadow Cabinet – he wields more influence as Chairman of the Exiting the European Union Select Committee. Benn co-operated with a conservative Remainer (Ken Clarke) to motion for a customs union last Wednesday, when it earned the second highest number of ayes, but the smallest margin of loss. Then it gathered steam. On Sunday, May’s Justice Secretary David Gauke claimed that Parliament’s will should trump manifesto commitments, and implied he would resign if May didn’t back it. The prisons minister (Rory Stewart) is one of those ministers known to have telephoned colleagues urging them to back it: he keeps saying in public that the ‘customs union delivers Brexit’ but he can never explain why. He is one of May’s many parrots. To leave the EU but re-join the Customs Union would be worse than Remain. Britain would need to pay for access, without any membership rights – what Dominic Lawson characterises as taxation without representation. The EU could change the customs without Britain’s agreement, and the EU could negotiate trade agreements without Britain’s say-so, while Britain could not find trade partners without entailing those partners to the customs union. Finally, joining the customs union entails the Common Agricultural Policy, Common Fisheries Policy, and the single market. We would need to be in the single market to avoid all customs checks of goods and movement certificates. The only checks removed by Customs Union alone are on rules of origin, which are comparatively trivial. Ken Clarke slipped up in the debate yesterday by describing his option as ‘single market’ – perhaps he had learned something in the Conservative Party’s briefing on the customs union in the morning. Not surprisingly, the European Parliament’s representative on Brexit (Guy Verhofstadt) says that Clarke’s alternative is the best for the EU. This option continued as MPs’ second favourite from last Wednesday (264 ayes) to yesterday (273). The losing margin shrank from 8 to 3. On this basis, plenty of MPs came out to declare it the best option. Some Parliamentarians have already bundled customs union and single market: this has been known as Common Market 2.0 or Norway-type. Norway’s unique arrangement works because a small and narrow economy isn’t affected by most EU rules. Britain would be affected by every EU rule. Even the term ‘Common Market’ is spin, since the proposal entails customs union, free movement of people, membership fees, and European jurisdiction. The SNP swung to it over the weekend as a stepping stone to Remain. The Labour Party swung to it yesterday, claiming compatibility with its own plan, and hoping to combine the 425 votes for both options last week. Plenty of Conservatives are behind it, but their spin or naivety is jaw-dropping. On Sunday, Conservative MP Robert Halfon said that Common Market 2.0 would end EU jurisdiction and would control free movement. Common Market 2.0 would end in Remain. Britain would gain no advantage from being in either customs union or single market without being a full member. Last Wednesday, this option won 188 ayes and ranked fourth of eight. Yesterday it won 261, ranked third of four, and its losing margin shrank from 95 to 21. A sensible Parliament would declare it dead, although this Parliament seems intent on debating it again. It is likely that tomorrow Oliver Letwin will motion further consideration of the top two Remain alternatives: Customs Union and Common Market 2.0. It is likely that Bercow will approve. He’ll probably allow a further vote on a second referendum, which is not an option for leaving the EU at all, just a way of providing a fig-leaf of popular legitimacy for Parliament’s choice between the other two. Meanwhile, Theresa May will probably motion her proposed Withdrawal Agreement on Thursday, arguing that it won more votes last Friday than any alternative yesterday. However, her proposal is practically the same as Common Market 2.0. 2. Negotiate a free trade agreement. Neither was considered by Parliament on Monday! Thus, my advice remains: if you want to influence Parliament to leave the EU on 12 April, prepare for civil disobedience.